Anodyne, Inc. DBA Great Potential Press, Inc., 9781935067238, 202pp. 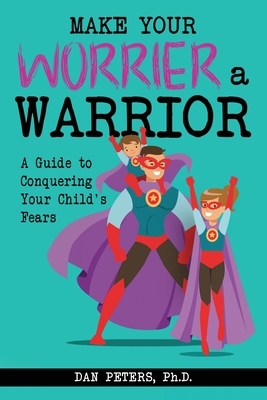 With this award-winning book, parents can team up with their children or teens to help them do the most courageous thing they will ever have to do: conquer their Worry Monster. Make Your Worrier a Warrior provides useful and comforting methods that parents can use to help their children create an anxiety-reducing "toolbox" to carry with them wherever they go. In building this foundation for their children, parents might even find that these strategies will work just as effectively to manage their own anxieties. Be sure to check out From Worrier to Warrior, which is the companion book for teens and tweens.